Nick Harradence played drums in British progrssive metallers Threshold after the departure of initial drummer Tony Grinham. 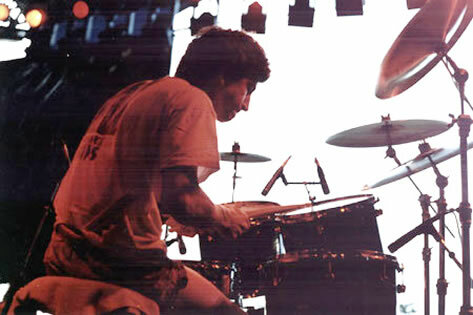 Nick joined Threshold as temporary drummer in 1994 to record "Psychedelicatessen", while at the same time playing drums for Karl Groom's other band Shadowland. On the band's next release, "Livedelica", it turned out that Harradence had left and Jay Micciche had taken the vacant spot behind the drum kit.